Lucca and the surrounding region played an active part in the unification process from the outset. 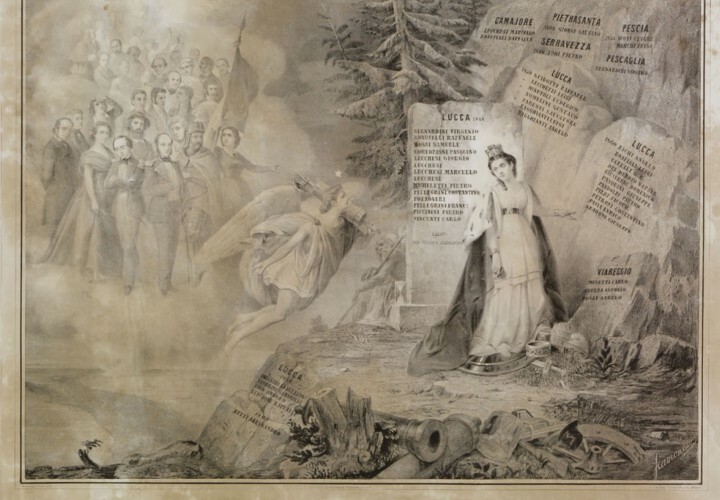 The patriotic cause was taken up in different senses and directions in the words, writings and example of the Cotenna family of Monte S. Quirico, the Borrini brothers in Compitese, Antonio Mazzarosa, Luigi Fornaciari, Luisa Amalia Paladini and Matteo Trenta, while groups decisively focused towards unification were established in Barga, Coreglia and Pietrasanta. 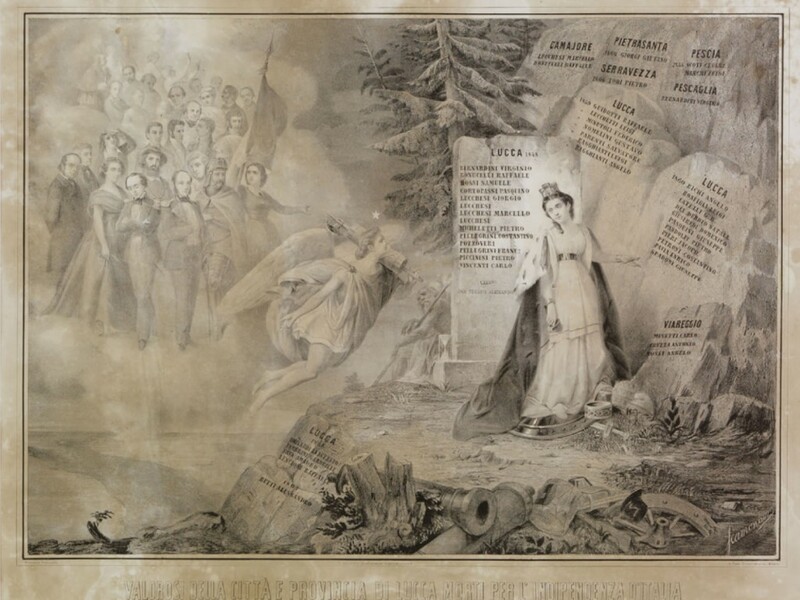 Freedom of the press and the establishment of the National Guard (1 September 1847) were the major successes of Lucca’s reform movement which played a full part in the “people’s spring” in Italy and in Europe. The legend of the liberal Pope Pius IX had a powerful effect in Lucca; marching crowds resembled processions; the tricolour was placed on improvised altars like a holy relic; the priests spoke publically mixing religious ideals with national and constitutional ones. An atmosphere destined to disappear together with the Neo-Guelphic hopes, widespread through all strata of society, while the state of Lucca ceased to exist as such: Lucca’s citizens first became, unexpectedly, Tuscan and then, within a few years, Italian. Such major simultaneous changes which Lucca worked through sometimes with effort, sometimes with very advanced, contemporary results in cultural terms.